Intrall and UAMZ Group consortium developed the Toros 4x4 armoured vehicle. Image courtesy of Vitaly Kuzmin. 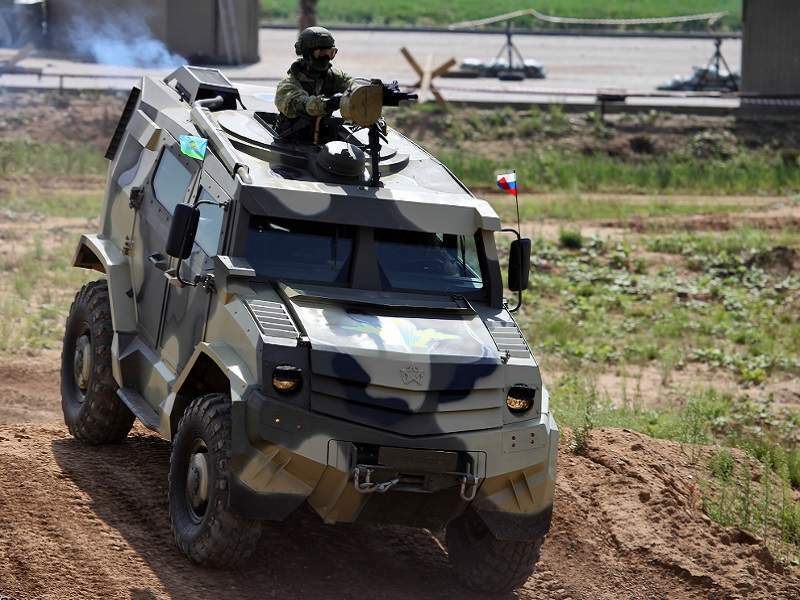 Toros 4x4 was inducted into the Russian Airborne Troops in August 2018. Image courtesy of Vitaly Kuzmin. The maximum troop-carrying capacity of the vehicle is six. Image courtesy of Vitaly Kuzmin. Toros 4x4 can attain a maximum speed of 110km/h. Image courtesy of Vitaly Kuzmin. The Toros 4×4 armoured vehicles family is being offered by the consortium of Intrall and UAMZ Group. It is specifically developed to provide fire support to military troops participating in reconnaissance, and search­-and-rescue (SAR) missions. The vehicle also offers enhanced cargo capability, which enables the troops to carry military equipment. 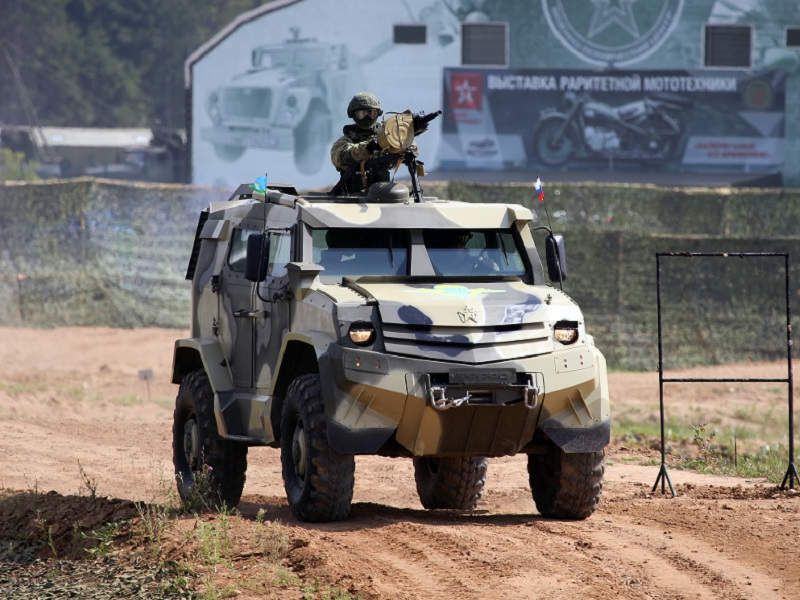 The Toros armoured vehicle was officially inducted into the Russian airborne troops during the Airborne Troops Day 2018 held in Moscow in August. The Toros 4×4 is available in three different configurations including an armoured version, a base vehicle, and a sanitary or special vehicle. The base variant is designated as Toros Basic, based on which other variants are developed. 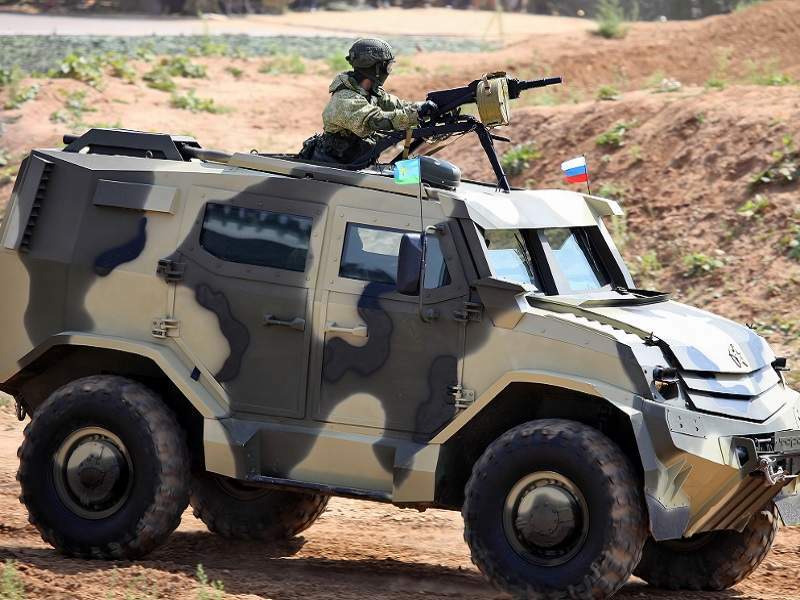 The light armoured version of the vehicle is called TOROS KOMANDIRSKY. It can be deployed at the service of the Ministry of Emergency Situations of the Russian Federation, Ministry of Defence, and Ministry of the Interior during important missions. The third variant, designated as TOROS SANITARY, is intended to offer emergency medical assistance and medical care to the wounded troops. 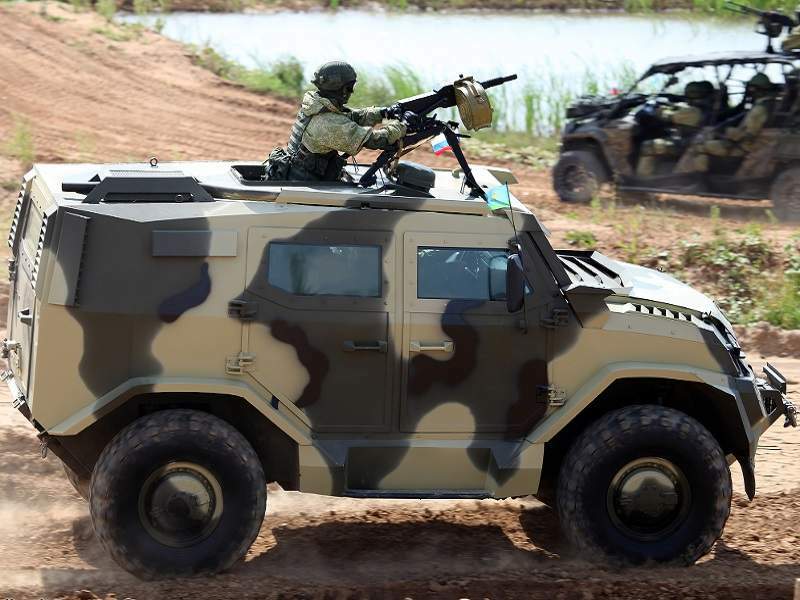 Based on the BTR-60 chassis, the Toros 4×4 armoured vehicle integrates a conventional layout with the engine stationed at the front and crew section in the middle, followed by a rear cargo compartment. The vehicle is manned by a crew of two and can accommodate up to eight soldiers. The armoured version of the vehicle has a length of 5.12m, width of 2.44m and height of 2.39m. It features a wheel base of 3.03m, which is the biggest in its segment. The turning radius of the vehicle at the end point of the bumper is 9m. The vehicle has a maximum payload carrying capacity of 2.8t, while its total weight is approximately 8t. The vehicle can be armed with a machine gun or an automatic grenade launcher (AGL). It protects the onboard personnel from small-arms fire and artillery shell splinters, and offers STANAG 4569 level 3 bulletproof protection and level 2 mine protection. Toros 4×4 is powered by a D245.9 turbocharged engine, which has a rated power output of 100kW (136hp). The maximum torque generated by the engine is 460Nm at 2,200rpm. The vehicle can be optionally powered by a 220hp D245.36 turbocharged diesel engine, while the engine can produce up to 720Nm at 2,200rpm. The D245.9 engine comes with an electronic control system in order to manage the fuel intake, while the D245.36 engine uses a mechanical fuel injection system. The engine is coupled to a five-speed manual gearbox. The power-plant enables the vehicle to attain a maximum speed of 85km/h on paved roads. The maximum speed can be increased to 110km/h with the usage of a D245.6 engine. The suspension system comprises an independent torsion bar, which ensures superior comfort when travelling on rough terrains. The mobility of the vehicle is further enhanced by using 18in tyres. The vehicle has the ability to negotiate a gradient of 57% and can ford water obstacles with a depth of 1,500mm. The entry/exit angle of the armoured vehicle is 48º. The Toros 4×4 vehicle can be air transported to the mission locations by military aircraft equipped with special militarised platform.